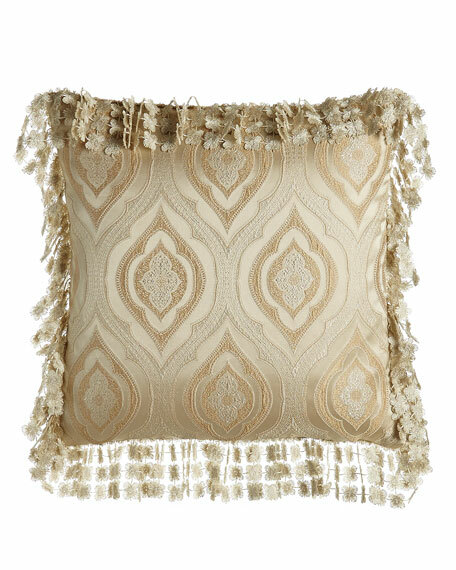 Isabella Collection by Kathy Fielder Montfort Reversible Ogee/Paisley Pillow, 20"Sq. 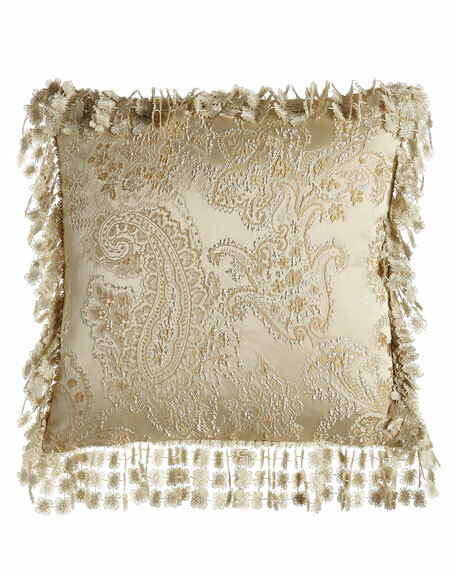 Isabella Collection by Kathy FielderMontfort Reversible Ogee/Paisley Pillow, 20"Sq. Ivory and gold ogee pattern on one side; paisley pattern on the other. For in-store inquiries, use sku #1554315.